What happened to community? And, first of all, what does this ancient word mean? Starting from the Latin etymology, the word communitas refers to the notion of taking care of others. But this open-minded idea has been replaced – immunized, to use the opposite word – by a new one that excludes the ones that do not belong to it. In the era of globalization, can we hypothesize a return to community? If so, what are the conditions? Roberto Esposito teaches Theoretical Philosophy at the Scuola Normale Superiore of Pisa. He collaborates with la Repubblica. He wrote Communitas. 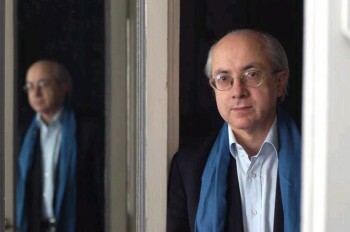 Origine e destino della comunità (published by Einaudi in 1998) a book about community translated in several languages, as well as his other book including: Immunitas (2002), Bios (2004), Terza persona (2007), Pensiero vivente (2010), Due (2013), Da fuori. Una filosofia per l’Europa (2016), Politica e negazione (2018), all published by Einaudi. His latest book Termini della politica (Mimesis) will be published at the end of September 2018.